A rarely-seen (as of this specs-based review) quad-camera smartphone, the Huawei nova 3 looks to steal the spotlight from some of the best photography-first smartphones listed here at Phonerated. Before we jump into its imaging pros, however, let's go over a couple of questionable cons. 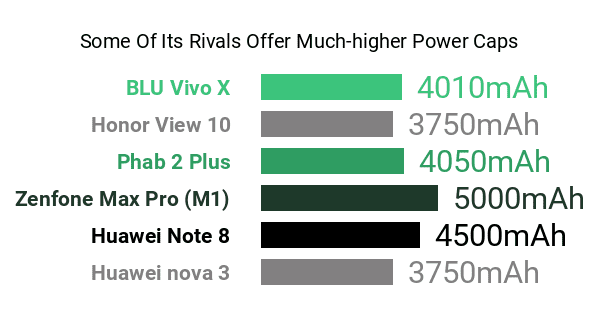 For one, the nova 3's 3750mAh raw battery power , although tolerable, sounds like a slight letdown compared to the 4000-4500mAh batteries boasted by some of its high-caliber phablet rivals. We also found its FHD+ (2340 x 1080) screen resolution underwhelming in two ways: one because several tantamount phablets bluster with premium-class 1440p definitions, and two because it tarnishes its otherwise flagship-caliber 6.3-inch 19.5:9 display . Its 19.5:9 aspect ratio, by the way, was one of the widest available when it hit the market. 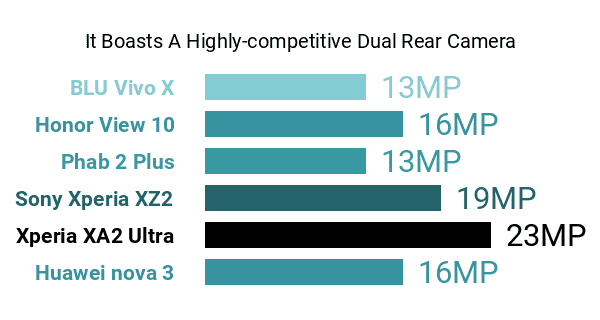 As for its strong suits, the nova 3 boasts a high-resolution f/1.8-aperture dual-lens rear camera that's made up of a 16-megapixel main cam for standard photography and a whopping 24-megapixel monochrome cam for things like depth-of-field analysis and background blurring. It is decked out with a combination of three autofocus types, namely, deep focus, phase focus, and standard contrast focus. 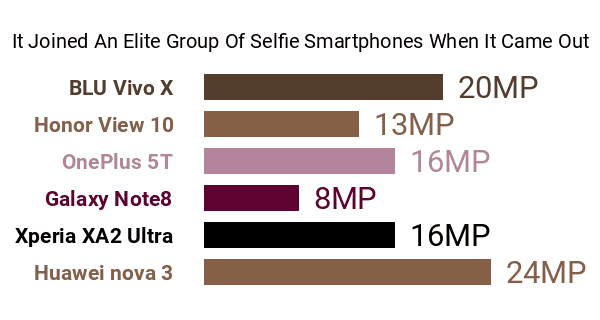 On the opposite end, it touts an equally-promising 24- plus 2-megapixel f/2.0 dual selfie camera that challenged those of the best selfie smartphones on the market as of this analysis of its pros and cons. Regrettably, though, its selfie cam is marred by a fixed focus capacity (ergo, no autofocus) , which is a very awkward setback, taking into account its resolution and dual-lens setup. Working from behind the scenes are the nova 3's hefty 6GB maximum RAM capacity (Huawei also offers it in a 4GB-only version) and AI-aided Kirin 970 dual-cluster eight-core processor running at 2.36GHz + 1.8GHz . These hardware components are accompanied by an i7 microprocessor and a high-end Mali-G72 MP12 graphics engine. Also among its pros and cons is a 128GB internal memory expandable by a maximum of 256GB . 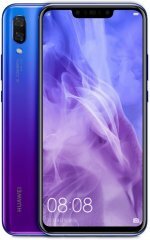 Rocking a 3D hyperboloid glass backing and coming in colors like Primrose and Purple, this third installment to Huawei's nova lineup calls out to flagship smartphone buyers looking for a phone that puts imaging and multitasking above everything else.